Union Minister Arun Jaitley on Tuesday termed West Bengal Chief Minister Mamata Banerjee's protest against CBI as a "disproportionate over-reaction" and said opposition leaders supporting her is like a "kleptocrat's club" aspiring to capture the reigns of power in the country. Jaitley said the West Bengal chit fund fraud was unearthed in 2012-13 and its investigations were handed over to the Central Bureau of Investigation (CBI) by the Supreme Court. "The court-monitored these investigations. The CBI has interrogated and even arrested some people. Many have been granted bail. If a police officer is also required to be interrogated, how does it become a super emergency, assault on federalism, or destruction of institutions? Jaitley questioned in a Facebook post titled 'The Kleptocrat's Club'. The minister said the CBI was being "brutally prevented" by physical force from investigating a crime which is legally within its jurisdiction. "It is a textbook illustration of a state government assaulting federalism, said Jaitley, who is in the US for medical treatment. Since Sunday, Banerjee is sitting on dharna in Kolkata against the CBI's attempt to grill the city police chief Rajeev Kumar in chit fund scams, including Saradha. "Mamata Banerjee's disproportionate over-reaction to the CBI wanting to interrogate the Kolkata Police Chief has flagged several issues for a public discourse. The most important being that a Kleptocrat's Club now aspires to capture the reigns of India," Jaitley said. Stating that it would be a gross error to assume that Banerjee did this because of a routine investigation involving a police officer, Jaitley said She did it to defocus from other opposition aspirants for the highest office and to project herself as the nucleus of India's opposition. Most of the opposition leaders or their affiliates, supporting Banerjee, are today being investigated, prosecuted and in some cases have also been convicted for crimes of corruption, Jaitley said. "Curiously, the AICC President somersaulted his position from Saradha being a scam to shoulder-to-shoulder support to scamster. Interestingly, the first family of Congress where most members are on bail. A non-ideological short-lived coalition of opposition is disaster for India," he said. 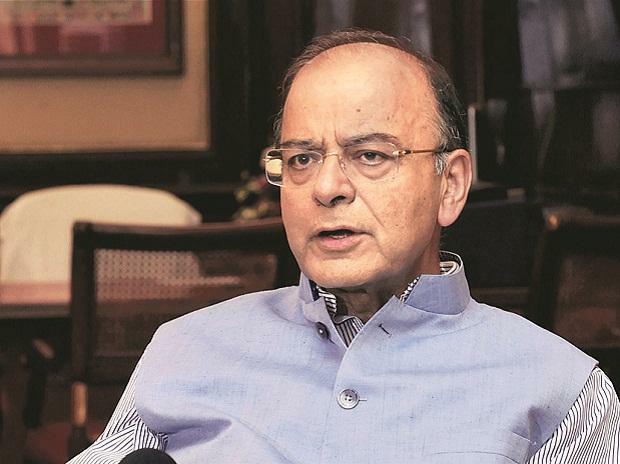 Questioning whether New India can be ever run by this "kleptocrat's club", Jaitley said those who have lent support to the West Bengal dharna are those who are battling serious allegations of economic improprieties, criminal misconduct and even corruption. "2019 election will be either Modi vs. chaos or Modi vs. anarchy. Mamata Banerjee's latest acrobatics are the best evidence of the kind of governance India's opposition can provide, Jaitley said. The Supreme Court, earlier in the day, directed Kumar to appear before the CBI in Meghalaya's capital Shillong. The court also said no coercive steps, including the arrest of the Kolkata police chief, will take place during the course of the investigation.